​The Alibaug coast offers most beautiful beaches in Maharashtra that range from sheltered little coves to miles of dune-backed sands. Most of the beaches in Alibag are clean and are ideal for a refreshing day. People from Pune and Mumbai usually head to the Alibaug beaches every chance they get, on holidays and weekends, if only to gaze out at the sea. 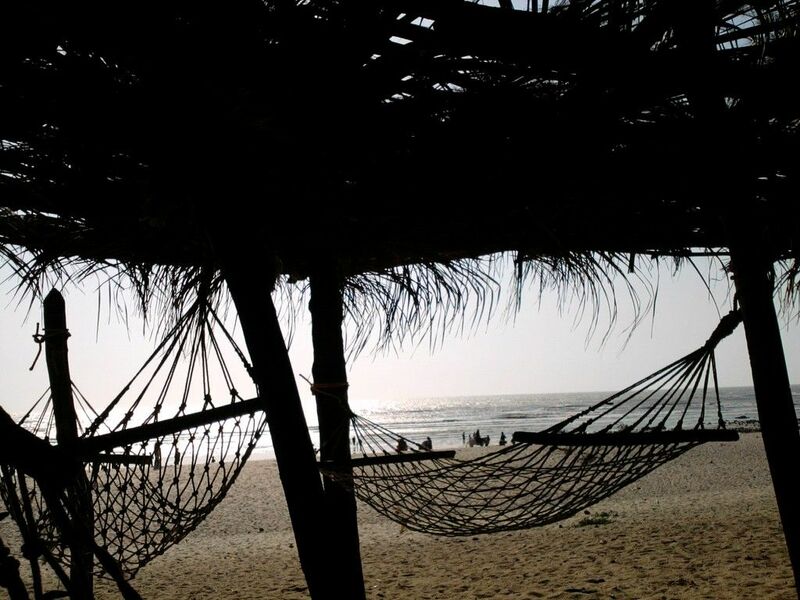 From North to South coast, there are many beaches which are within 30 to 45 minutes from Alibaug. 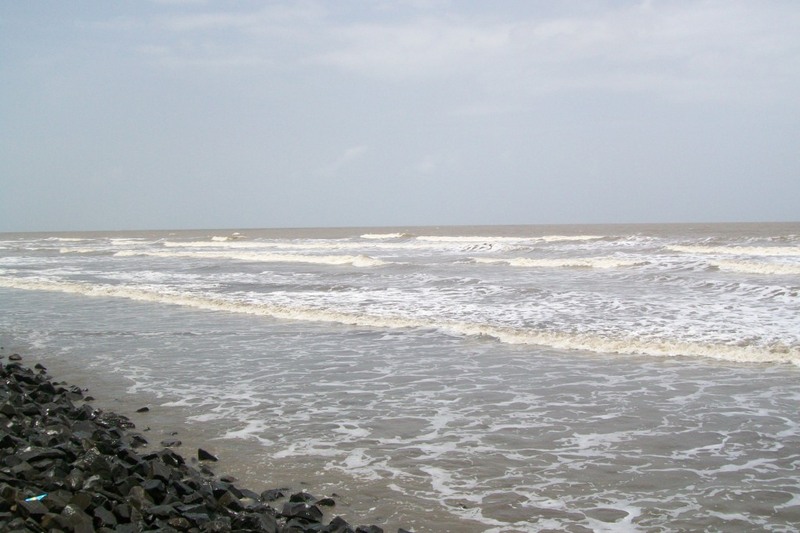 Nagaon beach is about 8 kms south of Alibaug between Alibag and Revdanda. To go there, you can get auto rikshaw or ST bus from Alibaug. 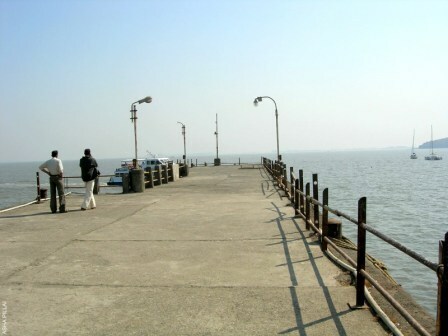 Turn right from Nagaon Shivaji statue, and after about 700 mtrs you will reach Nagaon beach. The beach is lined with Casurina Plants (Local Name: Suru) and is clean and beautiful. This beach is most popular among tourists due to clean water and plenty of water sports activities. Read more..​. Kihim beach is about 12 kms north of Alibaug. Kihim and Navagaon beaches are close by. These are also convenient for Mumbai people. Free bus service by Ferry operators drops you to village "Chondi". on the way to Alibaug. Beach is surrounded by various trees with colourful butterflies, coconut trees and wild flowers. 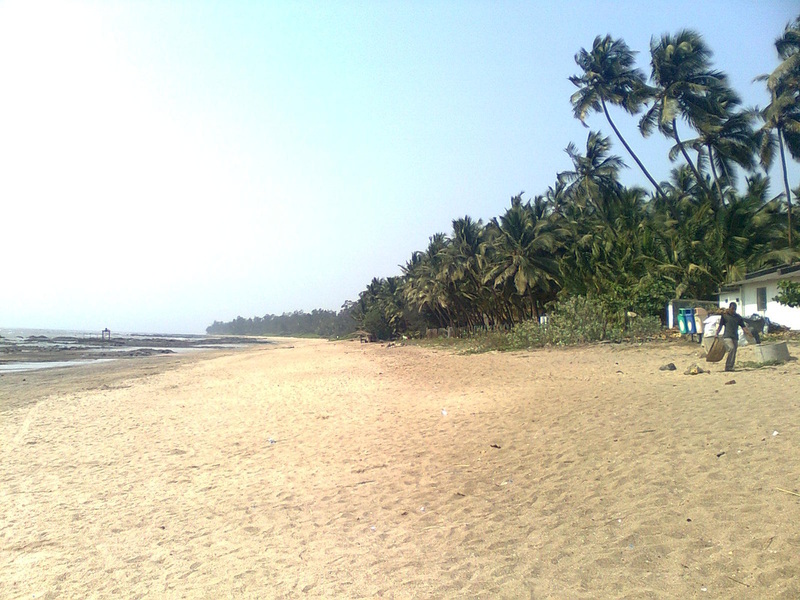 Varsoli Beach is about 2kms from Alibaug bus stand. Its is cleaner and less crowded than Alibaug Beach. Like all other beaches, water sports activities are there. There are few rocky streches where one can sit with legs in the water. 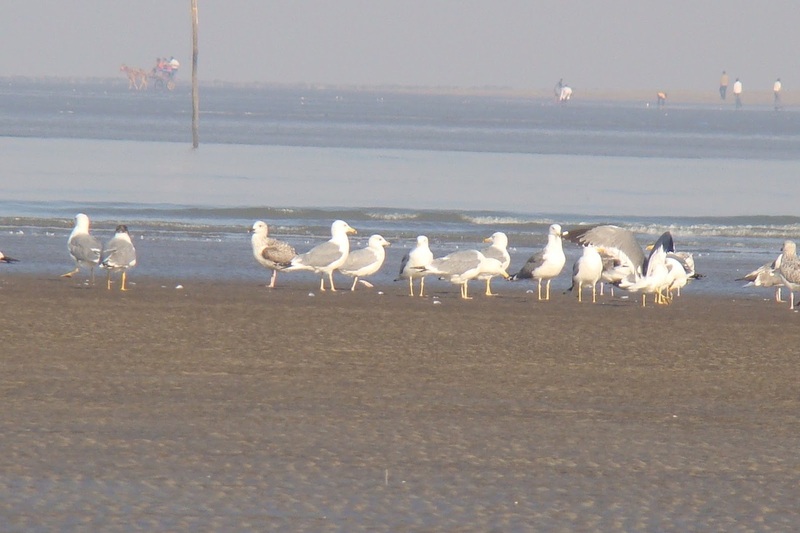 Mandwa beach is close to Madwa Jetty making it convenient for people from Mumbai. Ferry from Gateway of India takes approx one hour to reach Mandwa. Most of the plots near sea are bought by famous personalities hence there afre very few guest houses near Mandwa. Sasawane beach is also nearby on Rewas road. 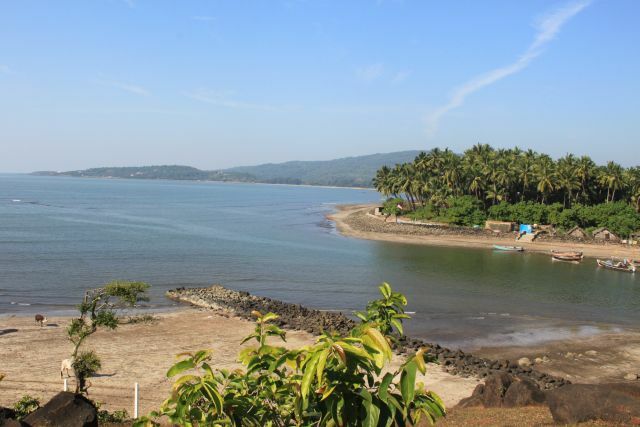 Akshi beach is about 5 kms fro Alibaug on Alibaug- Nagaon Road. 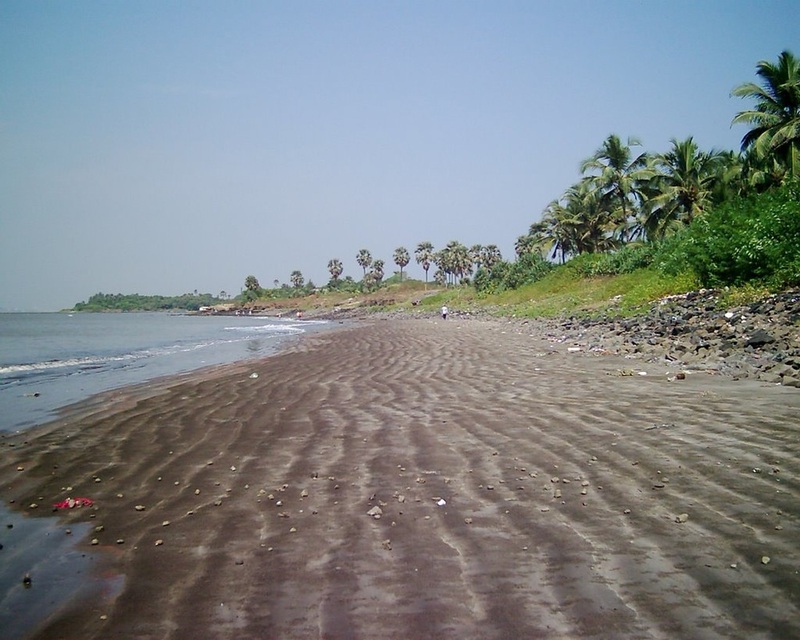 Akshi beach is connected to Nagaon beach and both combined is the longest beach of Alibaug. The beach is less crowded and ideal for people looking for more privacy. Revdanda beach about 18 kms south of Alibaug and 10kms from Nagaon. Beach is isolated and sand is blackish. 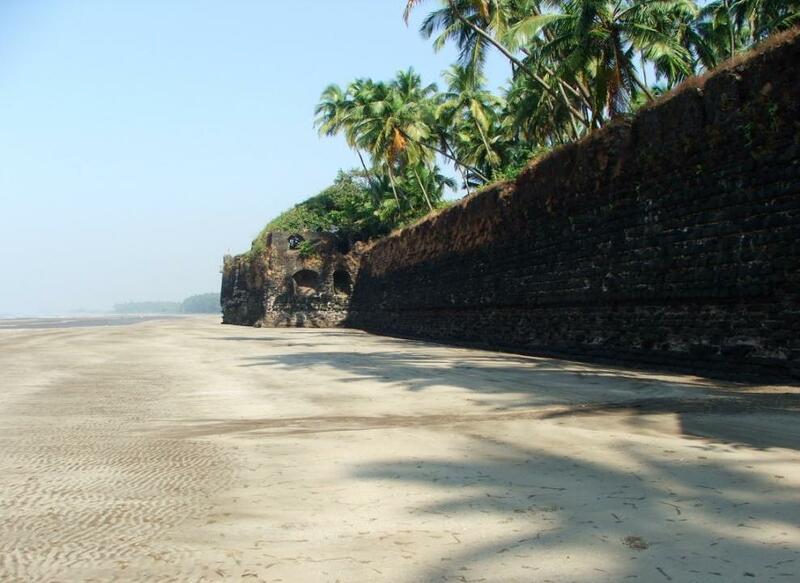 During high tide the waves crash onto the palm-fringed ramparts of the Revdanda fort and you get a magnificent view of the creek to the south and the beach to the north. There is an entrance from the beach to the fort. Nandgaon beach is about 10km from Kashid on Kashid Murud road. It is a quiet serene beach. It's less crowded. Beach is safe and waves are not as strong as you find on Kashid beach. 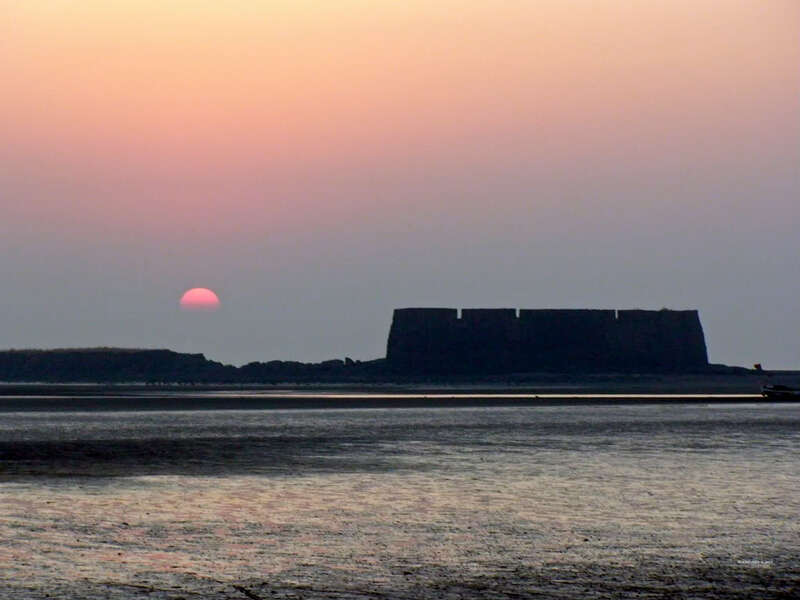 Murud is 8kms south of Nandgaon. Murud beach is 42 kms south of Alibaug. ST buses are vailable from Alibaug as well as from Mumbai and Pune. Murud beach is clean and safe for swimming. 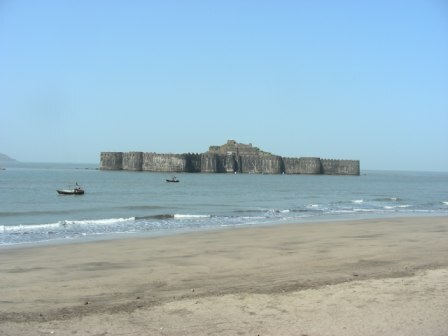 Murud Beach is known to many tourists because of famous Fort Janjira which is about 5 kms from Murud and can be reached by sail boats operating from Rajapuri jetty.